RAM Assault Weapon Clutches remain one of the lightest, most affordable metallic clutches for circle track and road race cars. At 6-1/4", they're a full inch smaller in diameter than competing discs. The open design & thicker RAMetallic (RAM's own proprietary mix with outstanding durability) paddle friction discs allow for excellent drivability and service life. 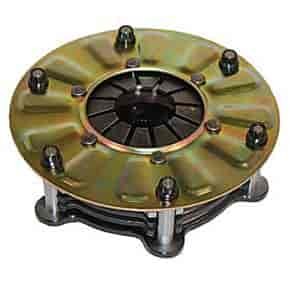 Works with RAM's Hydraulic Release Bearing, as well as mechanical bearings.